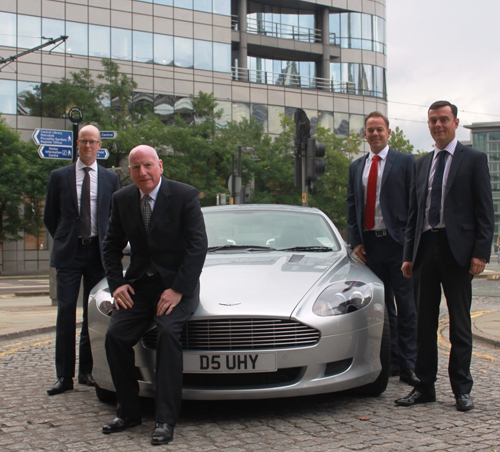 Accountancy UHY Hacker Young has announced the addition of David Kendrick and Paul Daly to their automotive sector team in Manchester. With a national sector team in place already, Kendrick and Daly will add, the company says, significant weight to the Manchester office offering joining up with ex-colleague and tax partner Matthew Hodgson. Both Kendrick and Daly held partner roles in their previous firm, gaining more than 10 years automotive experience joining UHY Hacker Young. In recent years Kendrick has been involved in more than 60 transactions in the retail automotive market, as well as working strategically with a number of private individuals and groups to grow their businesses. He said: “UHY Hacker Young has both a national and international network that will give additional support to our automotive clients and contacts. Daly, who initially trained with the 'big four' accountancy firms (Deloitte, KPMG, PricewaterhouseCoopers and Ernst & Young) has extensive experience in accountancy and recently focussed more of his expertise advising the larger groups in the sector, manufacturers with challenges overseas and providing support on numerous transactions. Mike Wasinski, managing partner at UHY Hacker Young said: “We are very pleased to have added the expertise, energy and enthusiasm of Paul and David to our practice. great to see guys - good luck with the new venture and I am sure you will take the market by storm!